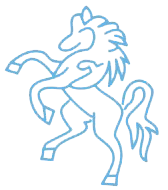 Broadstairs U15s have progressed to the National Club Championship Finals after being crowned London and East Regional Champions at Horsham on Monday 30th July. On a day where earlier wet weather provided some challenging playing conditions, a combination of outstanding individual performances coupled with the team’s characteristic strength in depth proved too much for the opposition. First up in the semi-final were Suffolk champions Copdock and Old Ipswichian, packed full with county players. Winning the toss and electing to bat, Broadstairs openers Archie Ralph-Harding and Nathan Fox went about their task in a measured manner, being watchful on a tricky pitch facing some accurate bowling. Together, they built an excellent platform, advancing the score to 45 off 8 overs when Fox (20) was trapped LBW and replaced by Harry Carter. Carter and Ralph-Harding had the freedom to start to push the scoring rate, knowing there were plenty of strong batsmen due to come in and they capitalised on the situation, building a partnership of 72 over 6 overs. Carter (50) retired in the 15th over and with the score on 117, a total of 160+ looked to be on the cards. As it turned out, the final acceleration didn’t materialise as it might have done, with batsmen George Kidd, Tom Marshall, Callum French, Jack Cave, Reggie Baskaran, Thomas Izzard and Matthew Marson showing the required intent but the attempted shots not quite coming off. Ralph-Harding (36) was eventually caught and of the remaining batsmen, only Joe McCaffrey (10*) managed to reach double figures with an enterprising cameo, brining the final total to a very defendable 148. The reply began with some typical tight bowling from the opening pair of Ralph-Harding and Fox and Copdock batsmen Froggatt and Harper struggled to get the ball off the square, managing just 20 runs in the first 5 overs. By this stage, Froggatt in particular looked the more likely to push the scoring with some extravagant swings but this proved his downfall as Kidd, bowling up the hill, lured him into a lofted drive that was caught right on the long on boundary by Fox. This wicket took the wind out of the sails of the Copdock reply and a series of wickets then fell over the course of the subsequent overs with the scoring rate never really threatening the target. Carter took the lion’s share of the scalps with figures of 4-12, clattering the stumps on 3 occasions. The remaining wickets were claimed by Kidd (2-23), Fox (2-19) and Ralph-Harding (1-11) but special mention goes to ‘keeper Marshall who completed a pair of very sharp stumpings to remove top order batsmen Sharma and Coe which served to break the back of the Copdock innings. Fittingly the match finished with Carter sending a stump cartwheeling in the 19th over and the score on 84, 65 runs short of the target. By the time the final started, the ground had largely dried out but a strong breeze blowing down the hill presented new challenges for the players. Broadstairs faced Berkshire champions Royal Ascot who had beaten Middlesex champions Richmond in a tightly contested semi-final. Ascot won the toss and chose to bat first although after the first 3 overs, and at 11-2, they might have been regretting that decision. It was Ralph-Harding, bowling with the wind who did the early damage with a caught-and-bowled in the first over and hitting the stumps with his second over. This brought to the crease and left- and right-handed combination of Jayasingh and Dunnett and this coupled with the tricky breeze and some excellent running between the wickets, presented a significant challenge for the bowlers, especially those bowling into the wind. Kidd replaced Fox and in his second over, tempted Jayasingh into an expansive shot which led to him being caught out in the deep by Izzard. With 3 wickets now down, Broadstairs could start to hope that they could restrict Ascot to a low total. However, there was still plenty of work to be done and the Ascot combination of Dunnett and Baker began to rebuild the innings, taking the score onto 80 with still 6 overs remaining and 7 wickets in hand. They key breakthrough came off the bowling of McCaffrey who would play a starring role in the innings with a 5-wicket haul. His first over saw the dismissal of Baker, caught at backward point by Fox and this led to a collapse in the scoring and composure of the remaining Ascot batsmen. Wickets fell at regular intervals, including a couple of unnecessary run-outs and some excellent keeping once again from Marshall with 3 stumpings; Ascot eventually mustered a total of 100, around 40 short of what they looked set to post. Appropriately enough, the final wicket was claimed by McCaffrey who finished with figures of 5-16 off 3.4 overs. Despite the relatively modest target, the Broadstairs reply was not without its moment of drama, with Fox holing out to the excellent spin bowler Pincus with a shot that even he struggled to explain. However, Ralph-Harding and the incoming Carter were not fazed by this early set-back and went about their batting in a calm and measured manner, although Carter did survive one scare where he almost reproduced the Fox dismissal against the same bowler. When Ralph-Harding (15) was bowled with the score on 60-2, there was still a sense of calm that the total would be reached with ease and Kidd carried on from where Ralph-Harding had left off. Carter (50) retired with the score on 70, completing what had been an outstanding day’s cricket for the young man. Nerves started to jangle when Marshall was bowled first ball but these jitters were quickly settled when French joined Kidd at the crease. French demonstrated the poise and intent with the bat that he has shown throughout the competition and played a series of glorious drives that took his score onto 17* and the total within 3 of the target. Kidd (9*) finished the job with a straight drive 4 and Broadstairs began their celebrations. The team now progress to National Finals Day at Rugby on Monday 13th August where they will be hoping to repeat their success from 2 years ago when, as U13s, they were national championship winners.